Qipaos are Chinese style one-piece dresses. Do you love Chinese silk? This wondrous natural material was the imperial dynasties&apos; #1 export item for many centuries, and it is still a hot item wherever the silky material goes. Shiny, lustrous, soft yet strong, it can be beautifully and brilliantly dyed. The history of Chinese silk stretches back more than 2,000 years, and here is how silk is made and where to shop for modern products. China produces about 150,000 metric tons annually. This is much more than the rest of the world combined producing 78% of the world&apos;s silk. Only India has a comparably large industry that produces about 30,000 metric tons. Silk is mainly produced in the south of the Yangtze River Delta. 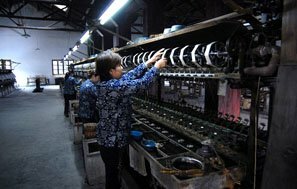 Renowned silk producing regions are Jiangsu, Zhejiang and Sichuan provinces. Cities such as Suzhou, Hangzhou, Nanjing, and Shaoxing are well known for their silk industries. The people living in the region were the inventors of silk fabric, and no other culture discovered this process independently. The history of silk making stretches back 6,000 years, and the earliest example of silk fabric that has been discovered dates from 3,630 BC in Henan. Silk cloth manufacture was well advanced during the Shang Dynasty (1600-1046 BC) era. The wife of the Yellow Emperor Huangdi was having tea under a mulberry tree when a silkworm cocoon fell into her cup. As she watched, a strand of fiber unspun from the cocoon, and she realized that the strong filament could be used to make cloth. Thus, an industry was born. She taught her people how to raise silkworms and later invented the loom. 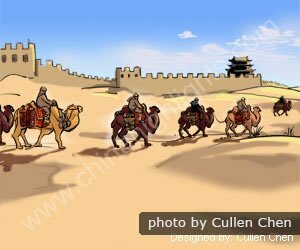 The Silk Road was guarded by the Great Wall. It is thought that silk was exported along the Silk Road routes by about 400 BC or so, and after this, though silk became highly esteemed, the various kingdoms and imperial dynasties kept secret the methods of silk production for another thousand years. It might have been one of the most zealously guarded secrets in history. Anyone found smuggling silkworm eggs, cocoons, or mulberry seeds was put to death. 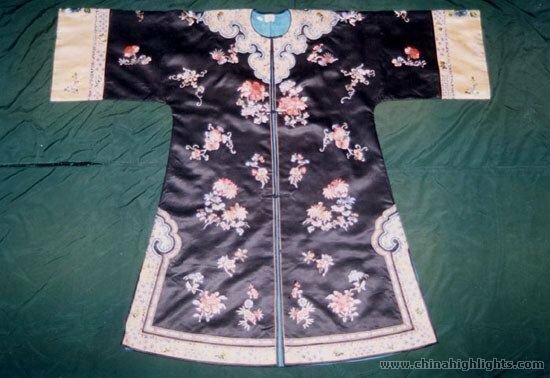 Silk garments were worn by emperors and royalty, and it was a status symbol. Common people were prohibited from wearing silk. Silk was also used for a number of other applications including luxury writing material. Silk cultivation spread to Japan about 300 AD, and by the year 520, Europeans and Arabs started to manufacture silk. In recent times, the invention of efficient techniques for producing cotton cloth and then the invention of synthetic polymers such as nylon and polyester greatly reduced the demand for silk. It is now a luxury good and is much less important a good than in the past. Silk worm caterpillars. Watching silk worms eat and live and spin their cocoons is one of the things tourists enjoy doing during a silk factory tour. Silk is a delicately woven product made from the protein fibers of the silkworm cocoon. Silk production is a lengthy process that requires close monitoring. Silk moths lay around 500 eggs during their lifespan of four to six days. After the eggs hatch, the caterpillars are fed a diet of mulberry leaves in a controlled environment. Their body weight increases substantially. After storing up enough energy, the silk caterpillars (silkworms) surround themselves with fibers of a white jelly-like substance. Their cocoons resemble white, yellow, pink, and brown furry balls. They are pretty. 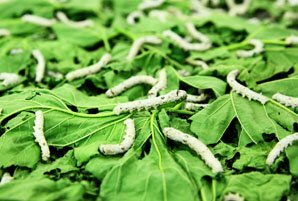 After eight or nine days, the silkworms (actually caterpillars changing into moths) are killed. The cocoons are lowered into hot water to loosen up the tight protective filaments that are then unraveled, wound onto a spool, and later spun into thread. The cocoon filaments might be 600 to 900 meters long! Several filaments are twisted together to make a thread. The silk threads are woven into cloth or used for fine embroidery. Quality silk is soft and glossy with clear and symmetrical colors. The shimmering appearance of silk is due to the triangular prism-like structure of the silk fibre. It refracts incoming light at different angles and so produces different colors. Silk is strong, but it isn&apos;t elastic. If it is stretched, it doesn&apos;t return to the same length. It also absorbs water. One problem with silk is that some insects find it delicious. Silk will fade if exposed to the sun for long periods of time. Silk fabric is a poor choice for curtains and draperies. Some silk clothing can be hand washed. Separate the dark colors from the light. Those with perspiration stains should be washed in cold water as soon as possible. Insects are attracted to perspiration and food stains. For best results, use a mild detergent and lukewarm water, rinse thoroughly, and roll in a towel to absorb the water. If ironing is needed, turn the garment inside out and use a low setting. Delicate silks should be dry-cleaned. The same goes for multi-color prints or hand-dyed scarves to prevent the colors from running. Moths can attack silks. For storage, put items in cloth bags such as cotton pillowcases or surround them with breathable fabrics. Keep them from exposure to intense light or direct sunlight. Avoid storing them in plastic since this might trap moisture and cause yellowing or mildew. Shanghai Qipao Station is a qipao clothing market in Shanghai. Silk is mostly used for clothing. Silk material in rough form is also used as a filling for luxury pillows and comforters. It is sometimes used for wall hangings. In the past, silk was used for various uses such as women&apos;s stockings and even artillery shells to hold the explosive. Sometimes it is used for surgical thread. 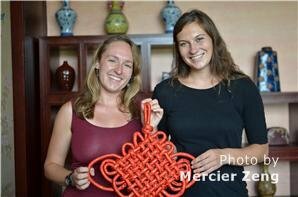 A qipao (旗袍 /chee-paoww/) is a unique souvenir or silk item you might wish to buy. 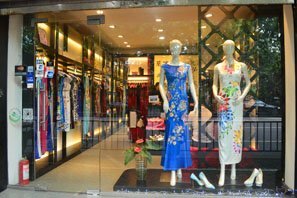 If you want a unique Chinese souvenir or a gift for yourself or for your female friend or relative, a qipao might be a choice. 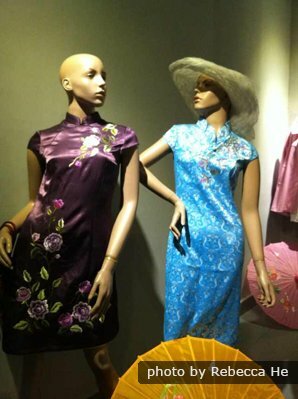 It became popular in Shanghai before WWII, and the elegant qipao is worn by some women for evening wear or party attire. It is a unique Chinese one-piece dress that features a high neck, close fit, and straight skirt with a high slit on one or both sides. See where to buy Qipao in Beijing and Shanghai. The best places to buy quality silk are Suzhou, Hangzhou and Shanghai. 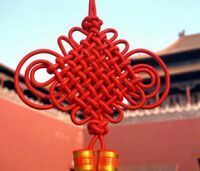 China Highlights&apos; tours to these cities could include stops to shop for silk and other souvenirs. We&apos;ll try to steer you to shops or markets you&apos;ll like. Factory tour: You could visit a silk factory with us. 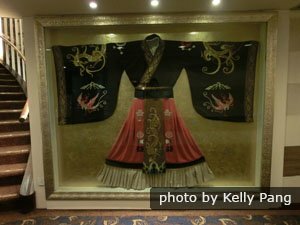 After touring the facility and observing the silk making process, if you wish, we&apos;ll take you to a display room and help you purchase clothing, comforters, brocades, scarves or other silk products direct from the manufacturer. 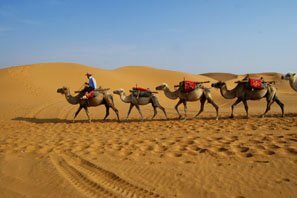 Touring the sights along the ancient Silk Road trade routes, you&apos;ll see ancient construction, exotic art, and the interesting ethnic minority people of northwestern China. The Hangzhou National Silk Museum is the largest of its kind in the world. It is a showcase for the origin, evolution and technique of silk production. It has a section devoted to the Silk Road and its importance in commerce. The museum is well worth a visit. Contact us for a tailor-made tour according to your requirements and interests.